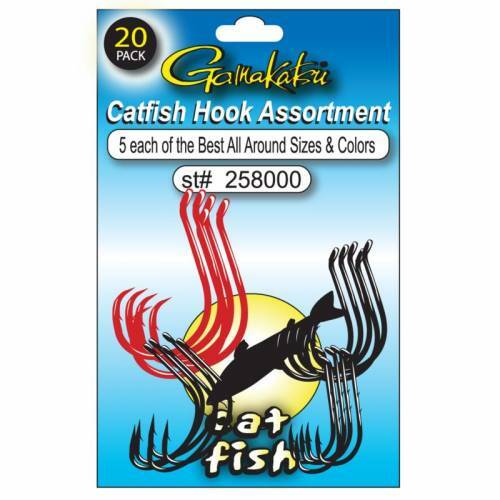 Gamakatsu Catfish Hook Assortment. 20 pack of Gamakatsu's ultra-effective catfish hooks. 5 each of the best all-around catfish hooks, includes: 8/0 and 6/0 Octopus Circle hooks, 4/0 Shiner hooks, and 1/0 NS Black Baitholder hooks.